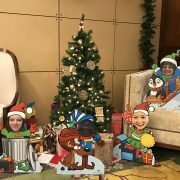 Our recent marketing campaign revived the kitschy fun of an electronic classic that featured sea monsters, castles, and brave warriors. As well as the iconic graphics of retro video games. 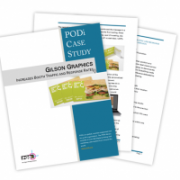 This reached out to Gilson customers in a creative, yet systematic way. 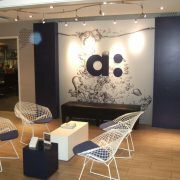 As a result, the multi-tiered campaign provided measurable results that demonstrate the success of our marketing team’s approach. Our time-travel to the early days of computer animation began with a theme-introducing “Save the Date” card sent to potential attendees of GlobalShop, a major retail trade show Gilson participates in annually. The card introduced three classic pixelated images (heart, sword, and coin) that appeared throughout the campaign. 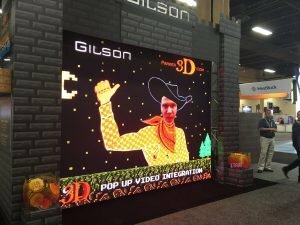 This created a visual reminder of the Gilson brand in printed materials and in the trade show booth. The campaign’s next phase went to local customers and the GlobalShop list. This involved the arrival of an unexpected package and an intriguing invitation to some good, old-fashioned fun. The personalized invitation was sent in an eye-catching clear plastic tube, encouraging recipients to visit a personalized registration site. In keeping with the video game conquest theme, a fearless knight on the invitation defended his castle, which featured a listing of the three “levels” of Gilson service. 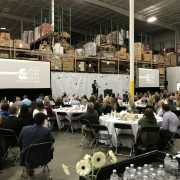 After going to the campaign landing page via their personalized URL, recipients who were not attending GlobalShop were given a choice of prizes immediately. The choices included sturdy, oversized heart, sword, and coin icons with a dry-erase coating. 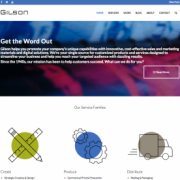 A reminder of Gilson’s customizable marketing services. Recipients on the GlobalShop list also received a Nerf® dart as part of their “Save the Date.” Ammunition to defend themselves from hazardous marketing “monsters” lurking on the interactive game board in our booth. Show attendees from across the country came to the booth armed with their dart and ready to test their skills in exchange for their choice of fun Gilson prizes. 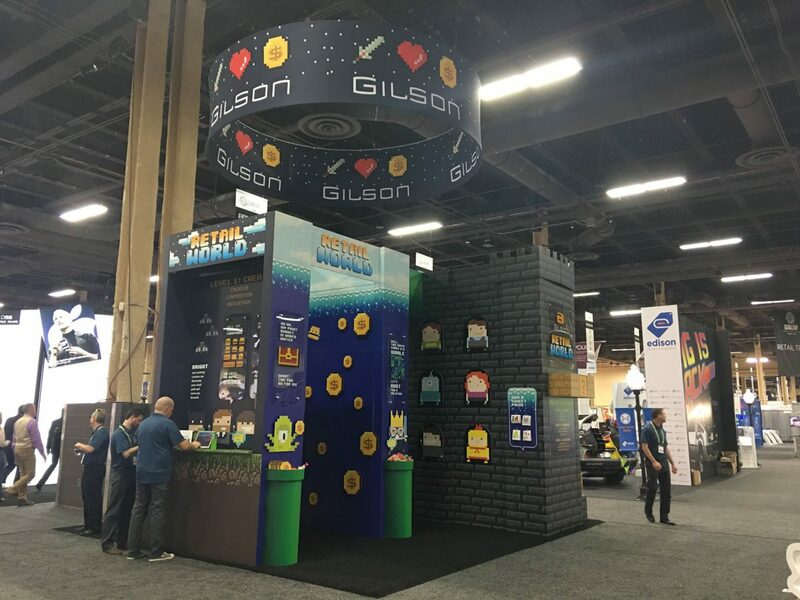 For the GlobalShop portion of our integrated marketing campaign, our marketing and design team created a themed booth that highlighted the team’s innovative ideas and showed off the capabilities of Gilson’s large format department. Part “brick” castle and part interactive game board, the booth featured a giant integrated LED video screen to show our “Retail World” video. 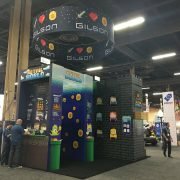 Gilson partnered with Parker3D, an expert in video displays and animated electronic shows, drawing attendees to the booth and supporting the video game theme. 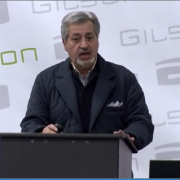 This offered customers an entertaining and informative overview of Gilson services. 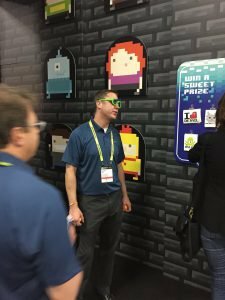 The display captured the attention of major retailers who commented on the effectiveness of the collaboration with Parker3D. 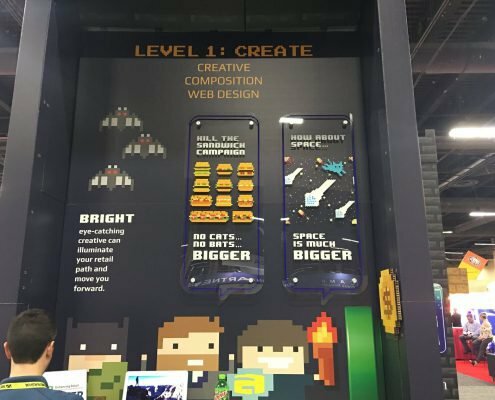 The booth’s unique animated elements and its advantages over static booths were a big win. We understand that bragging isn’t the hallmark of a good sport, but we’re so thrilled with the outcome that we can’t keep it to ourselves. Just a glance at these graphs shows the results you get from an intriguing, well-designed marketing campaign. Within days of sending out the invitations with pURLs for local customers (followed by a quick email reminder after each), our response rate was an impressive 33%! Among GlobalShop attendees, we also had our highest response rate on record. As a result, they rose above the level of previous shows and attracted a host of potential new customers to our booth. We’ve spent over 70 years shaping our expertise. We employ the latest advances in technology, equipment, and processes to meet our customers’ ever-evolving needs. We know that experience counts. The growing success of our campaigns shows the value of changing your game plan and knowing your audience’s needs and interests. 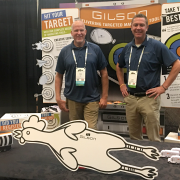 Since the first year, Gilson participated in GlobalShop, the response rate to our marketing campaigns (think “sandwiches” and “cool cats”) has taken off. This has tripled in the first two years and steadily rose to 13%—and that’s among “cold” leads. Our success with customers who are familiar with Gilson has been equally notable, with a response rate that climbed from 11% to 33% in four short years! Gilson makes it easy to maximize the success of your marketing campaign with a customized electronic dashboard. The dashboard monitors customer response in real time, giving salespeople, project managers, and company executives fast access to results during and after the campaign. When you’re ready for the final battle against your arch rival, invite Gilson to join your game. It’s a power-boost in the marketing department. Most of all, remember that powerful mix of services to create, produce and deliver just the right marketing solution for your business. It’s there for the asking. Give your Gilson rep a call today or visit our website, because even office heroes need a little help now and then!